Your career development is a lifelong process that, whether you know it or not, actually started when you were born! There are a number of factors that influence your career development, including your interests, abilities, values, personality, background, and circumstances. Career Counseling is a process that will help you to know and understand yourself and the world of work in order to make career, educational, and life decisions. Career development is more than just deciding on a major and what job you want to get when you graduate. It really is a lifelong process, meaning that throughout your life you will change, situations will change, and you will continually have to make career and life decisions. The goal of Career Counseling is to not only help you make the decisions you need to make now, but to give you the knowledge and skills you need to make future career and life decisions. Help you figure out who you are and what you want out of your education, your career, and your life. Be someone for you to talk to about your thoughts, ideas, feelings, and concerns about your career and educational choices, who will help you sort out, organize, and make sense of your thoughts and feelings. Help you identify the factors influencing your career development, and help you assess your interests, abilities, and values. Help you locate resources and sources of career information. Help you to determine next steps and develop a plan to achieve your goals. Tell you what to do, or tell you what you should major in, or what career you should pursue. 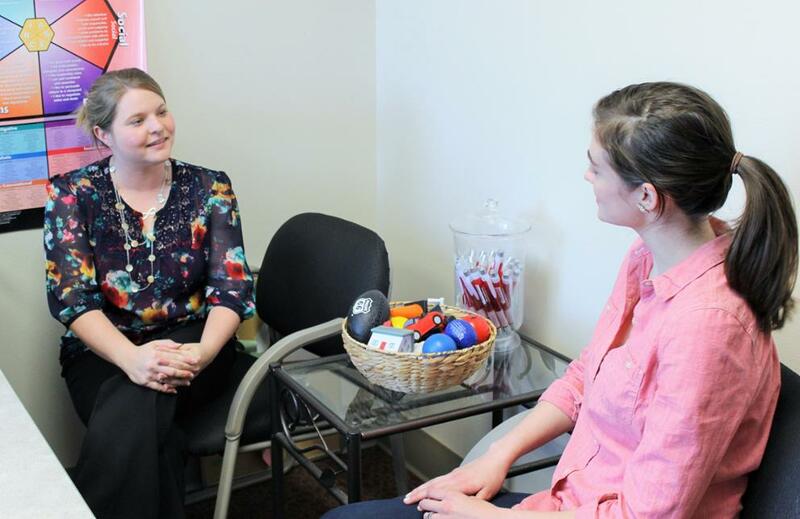 Since career development is a lifelong process, Career Counseling can be appropriate for anyone, including freshmen, sophomores, juniors, seniors, and even alumni. The earlier you get started making intentional decisions about your future, however, the better prepared you will be! We recommend that all freshmen come in and visit with a Career Counselor. Are you asking yourself any of the following? “I know what I want to do, but I’m not sure what the best major would be." Designed to aid students in exploring sources of career information and the world or work. Decision-making skills and methodologies, sources of occupational-educational information, and the various sources for gaining career information and self-understanding will be explored. Includes experience in using career information systems. View a printed copy in the CRC or search the OOH online. The O*NET is another type of occupational research guide. You can research jobs by career cluster or by job prospect. You can also search by comparing your education and skills to those required by careers. Based on the Myers Briggs Type Indicator, the AchieveWORKS™ Personality assessment is a personality test that related you to the world of work and study. A four letter code describing how you operate best will give you insight into specific fields of study and how you will get the most out of college. The AchieveWORKS™ Personality assessment also allows you to see what work environment may best suit your personality. This assessment is free and can be accessed at any time from any computer. However, you will not be able to view your full results unless they are unlocked by an instructor or you have an appointment with a career counselor. LOG IN and enter your email address password. For FIRST TIME users, you will need to create an account. You will then be asked to create your account and password. *To view your results, you must make an appointment with a career counselor, by calling 620-235-4145. The Strong Interest Inventory® is committed to helping people find their passion. Choosing a career can feel like a monumental decision. At the same time, it can also feel like guesswork.